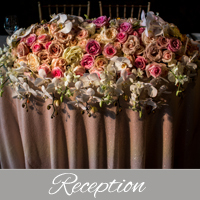 We believe that flowers are an integral part of the design and romance of a wedding. It is our job as a floral designer to utilize our love and passion for flowers to help make your wedding day just a little more special. As the in-house wedding florist for Creative Weddings Planning & Decor, we’ve had the privilege of working with couples to design flowers for them on their wedding day for over six years. Deciding on your wedding flowers isn’t just a cookie-cutter routine for us. We believe it is our job to guide you through the process in order to bring your style vision to life. This includes educating you cost, flower types, and everything else you need to know along the way. 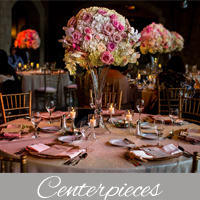 Afterwards, we’ll provide you with a quote customized specifically to meet your floral needs and requests. “Fiori Con Amore” literally translates to “flowers with love”. 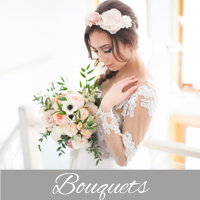 Allow us to work with you and bring you wedding flowers you’ll love! 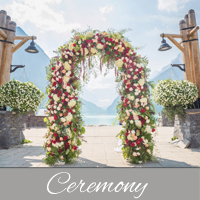 To get started, contact us now at 403-477-0643 or flowers@creativeweddings.ca. Want to see some samples of our work? Please click on the gallery links below or head on over to Fiori Con Amore to learn more.